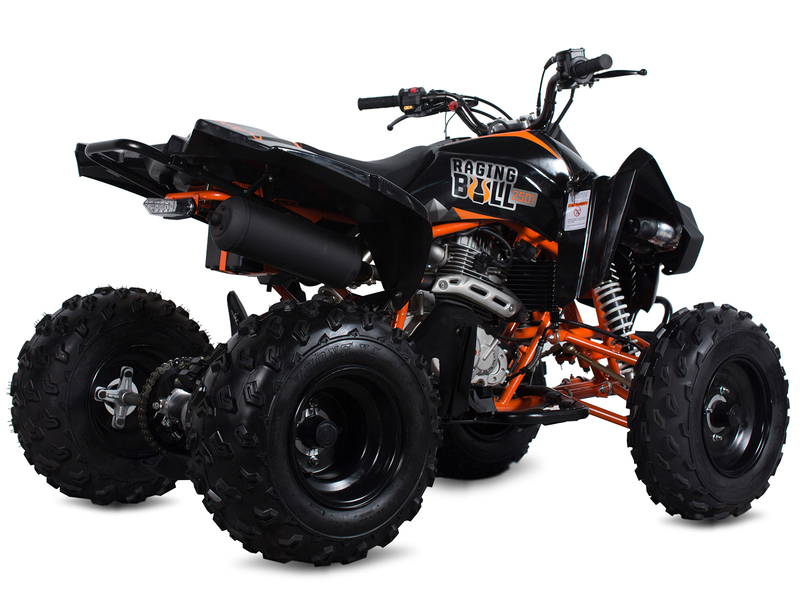 The Raging Bull 250 ATV is a remarkably capable quad from the manufacturers of Stomp Pit Bikes (Kayo). 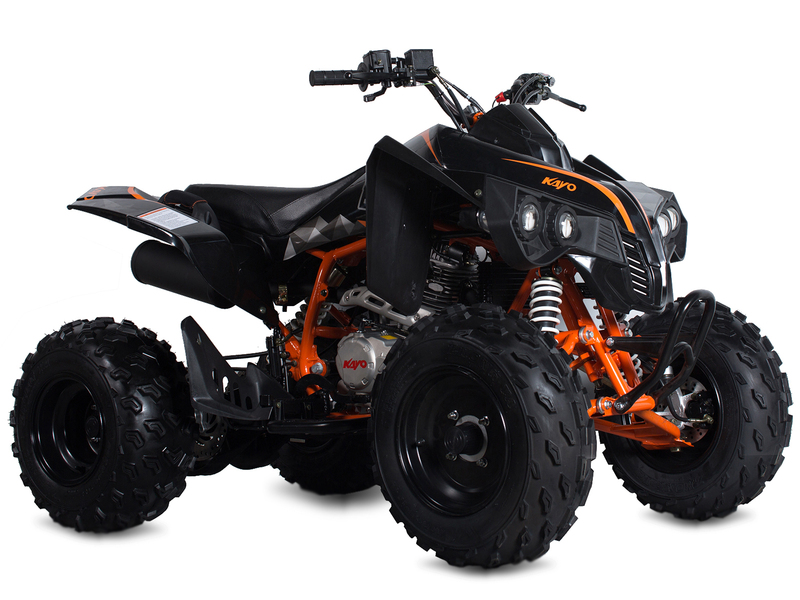 Kayo undertook 4 years of development in some of the harshest conditions an ATV will ever face, determined to produce a quad bike that would outperform anything in its class. 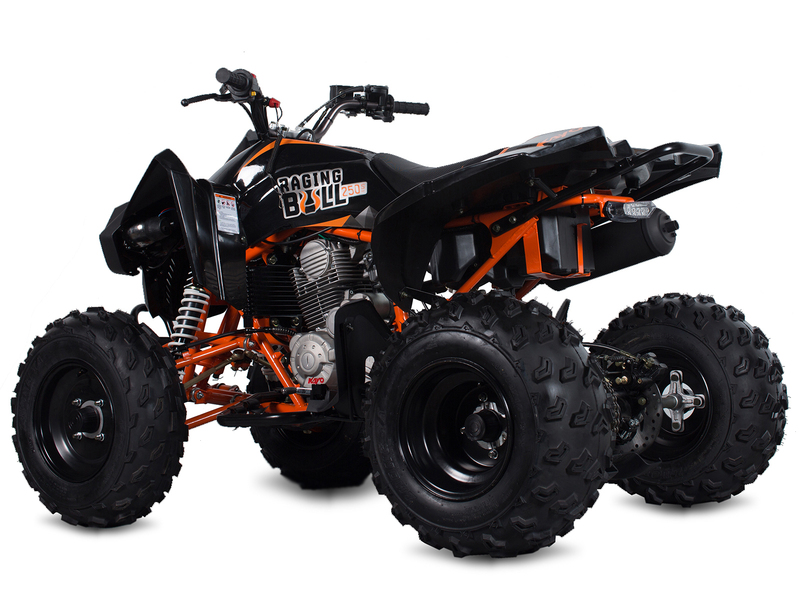 They succeeded and the result is an ATV that is seriously smooth & fast, great fun on the limit, light and nimble, has amazing crawling & climbing ability and stunning looks at an unbeatable price. Forget about what you think you know about quads, Kayo just re-wrote the rule book. Suitable for riders of 16 years and over. 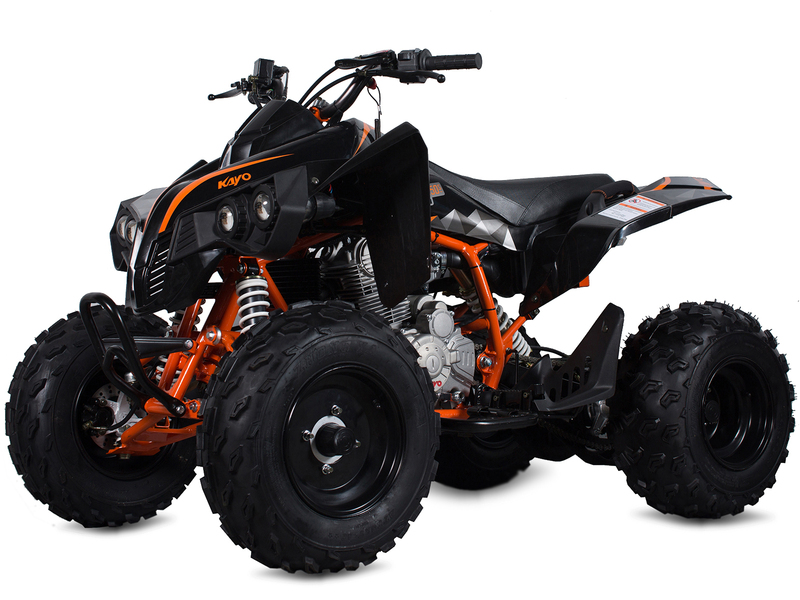 4 speed manual (clutch) 250 cc 4-stroke, 1 speed reverse, 3 hydraulic disk brakes, and double wishbone suspension with adjustable pre load. The Raging starts here.